AI is one of the biggest trends shaping the world right now. Recently, some of the biggest names in technology including Google, IBM, Facebook, Amazon, and Microsoft joined forces to launch the “Partnership on Artificial Intelligence to Benefit People and Society,” a project intended to guide the course of future AI development. 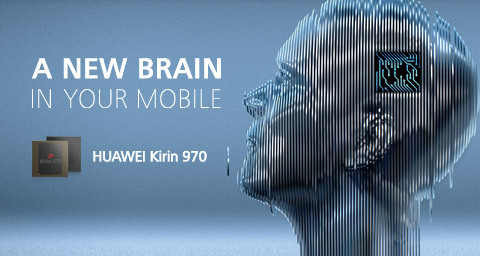 Huawei, another global technology giant, is also committed to driving the future of AI, and is reportedly planning to launch the world’s first AI chipset for mobile devices. 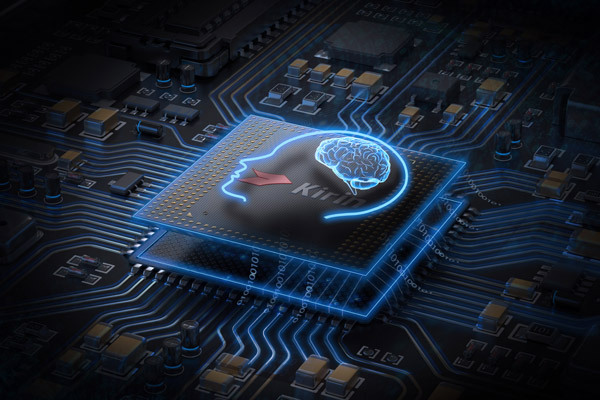 According to Huawei’s AI expert Baofeng Zhang, future AI devices should be able to perform deep and lifelong learning of user behavior patterns so that they can predict user needs and respond in real time. In fact, Kurzweil’s theory is to some extent an expansion of Moore’s Law, in which Intel co-founder Gordon Moore predicted back in 1965 that the number of transistors incorporated in a chip would approximately double every two years. In fact, Moore’s Law still holds true today in mobile chipsets: 24 months ago the focus was on performance and video, last year on speed and VR and this year on AI. As such, under the ‘Law of Accelerating Returns,’ AI is the next frontier in human, societal and technological development. AI is an abstract concept which only comes to life in the evolving products and applications that make use of it. So what can we expect from the future of device interaction? What role will technology play? Since the original analog phones, capable only of making and receiving calls, the mobile phone has added extra features to make it increasingly useful. Today, in an age of digitalized information, the smartphones we carry with us everywhere are able to replace virtually every function of a traditional PC. The next phase in this evolution is becoming fully-fledged digital assistants. But how will they offer users what they really need? Advances in both intelligence and interaction will be the two central forces that drive the next age of transformation across the smartphone industry. So, how will we create more natural interaction? Over time, the means of input we use to interact with our devices has changed, but it has been an iterative process: from physical buttons to today’s touchscreens and more recently, voice recognition. The means of interaction is central to making AI technology truly ‘usable’ in real-life scenarios. For example, the ‘wake up’ function seems like a simple feature. There are several smart speakers hitting the market that incorporate this, but the implementation of a wake-up function is actually very challenging. In a quiet environment a user’s voice can be recognized correctly yet when the surrounding environment is noisy, for example, if someone is playing music or talking to others, the wake-up function doesn’t always work as accurately. In the new era of AI, arguably the most meaningful change in devices will be that these ‘entry points’ are more accurate, user-friendly and convenient. If smartphones are to become truly ‘smart’ three challenges must be overcome. The first is achieving a deep understanding of users. The emerging classes of smart devices such as smart glasses, wristbands, watches and smartphones have a growing influence on users’ day-to-day lives. As people start to use multiple smart devices, having a digital assistant which truly understands your requirements and preferences, and can help you to control and manage interactions between devices will be vital. In this virtual environment, what really matters is a true understanding and perception of you. As AI develops, particularly for consumer devices, this is a crucial requirement. The second challenge will be moving from being reactive to proactive. The smart assistant of the future will screen information and push notifications based on its understanding of a user. It can proactively explore what users need and enable them to do what they want in just one step, known as proactive service mode. The third and final requirement for AI-powered devices is lifelong learning. After its capabilities and ability to learn are developed, AI will be able to adapt to changes in user scenarios and find the optimal approach to completing tasks. This is a continuous learning process rather than a single adaptive one. Looking at the bigger picture requires a complete system of various AI capabilities to achieve lifelong learning. Devices that become smarter over time by completing tasks and tests with user groups can become sustainable systems, rather than single-use applications. With the oncoming AI revolution, many traditional mobile phone manufacturers as well as newer brands are working hard to seize opportunities through AI technologies.